Sid Dillon Chrysler Jeep Dodge RAM in Crete, NE offers information on the Dodge Brand. Here is some information on Dodge history and current Dodge models. 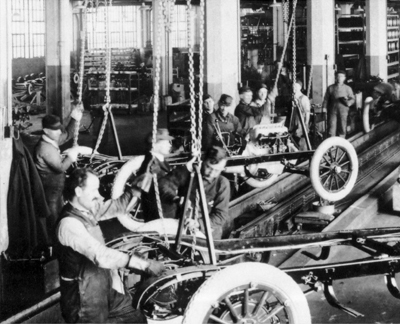 The Dodge brand all started with an innovative dream and a lot of effort from the legendary Dodge brothers. John and Horace Dodge were born in Niles, Michigan in 1864, 1868 (respectively). They were inseparable growing up and their passion for mechanics and engineering led to their collective creative future. The two first started out building bicycles and in 1896, Horace received a patent for a dirt-resistant bicycle bearing and the brothers teamed up with Fred S. Evans. Together they started production for the Evans & Dodge Bicycle Company which was based in Windsor, Canada. By 1901, John and Horace sold their interest in the Evans & Dodge and moved on from bicycles to cars, opening up what would become Detroit’s largest machine shop. By 1902 Dodge had already grown to become one of the biggest suppliers to the newly emerging automobile industry. The following year, they began working with Henry Ford in the newly-developed Ford Motor Company. As part of this venture, they created the production drawings and mechanical parts and employed its entire shop of 135 workers toward the Ford venture earning them a 10 percent share of the Ford Company stock. By 1914, the Dodge brothers decided that they wanted to branch out on their own and take the experience they had gained with Ford to start building vehicles that fit with their vision. The very first Dodge vehicle made its debut on November 14, 1914, and a total of 249 Dodge vehicles were already built by the time the year ended. In 1915, less than a year after starting production, Dodge was already ranking as the third best-selling automaker in America. Dodge supplied 150 cars to the U.S. Army in 1916. The rest of that decade brought continued success with the first Dodge commercial truck released in 1917 and production reaching over 60,000 units in 1918. The brand reached their 400,000th vehicle produced in 1919, just five years after the initial start of production. Sadly, 1920 brought the death of both John and Horace in January and December of that year, both of them casualties of the infamous influenza epidemic. While the Dodge namesakes were both gone, the brand continued to grow and thrive based on the platforms that they had started. By 1921 Dodge was the second best-selling brand in America with production for that year topping over 81,000 units. Additional highlights of the 20s include the introduction of the industry’s first all-steel business coupe, the opening of the brand’s first Canadian plant in Walkersville, Ontario, the one-millionth Dodge produced in 1925, and the introduction of the new five-main bearing crankshaft in 1927. On July 30, 1928, Dodge officially becomes part of the Chrysler Corporation. 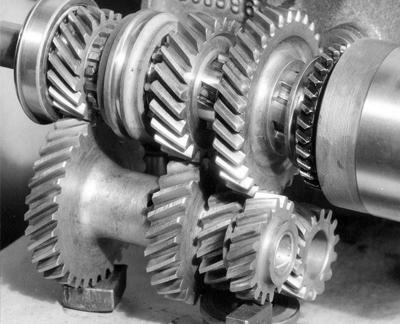 During the years of the Great Depression, throughout the 1930s, many automakers had to find new and innovative ways to keep production moving forward. For Dodge, that meant factory rust-proof bodies, automatic spark control, valve seat inserts, the introduction of the “floating power” engine, a new silent helical gear transmission, a raked radiator and longer hood, independent front suspension, and rubber body mounts. Dodge also celebrated its three-millionth vehicle produced in 1935 and its 25th anniversary in 1939. When WWII reached the U.S. in 1941, Dodge, along with all other domestic automakers, halted production of passenger cars to develop vehicles that could be used in the war effort. Dodge production switched to WC Weapons Carriers, radar units, Sperry Gyro compasses, and B-29 engines. In 1945, Dodge released their first post-war era vehicles, the Dodge Custom four-door sedan, and the Dodge D24 Custom convertible coupe. The brand also produced its five millionth vehicle in 1946. By the end of that decade, the brand had eliminated all of the pre-war style Dodge vehicles and released new models such as the 1948 Power Wagon and a single bench Wayfarer Roadster in 1949. The brand also opened up a new assembly plant in San Leandro, California in 1948. Throughout the 1950s, Dodge redesigned the look of the models in its lineup in order to fit with the flashier look and style that consumers of that era wanted. The highlights the brand experienced throughout this decade included the release of the Diplomat in 1950, the first all-steel wagon in 1951, and the “Red Ram” HEMI engine in 1952. It also served a as pace car at the 1954 Indianapolis 500 and introduced the Firearrow Roadster concept car that same year. In 1955, the Dodge LaFemme was released along with the first-ever in-car personal entertainment system (the Hi-Way Hi-Fi). An industry first push-button transmission quickly followed in 1956, and the inclusion of trail fins into their vehicle designs began in 1957. 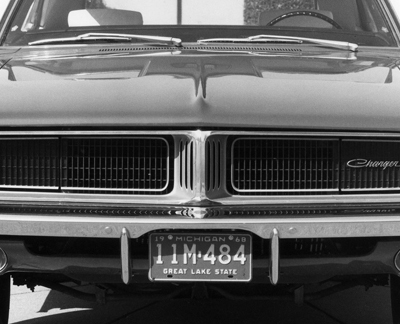 The style and creativity of the Dodge brand continued to evolve in the 1960s. This decade saw vehicles being built with a more rigid unibody structure and the introduction of several new models including the Dodge Dart in 1960, the Lancer and the FliteWing concept car in 1961, the Dodge Charger concept in 1964, and the return of the Coronet on 1965. The brand also celebrated its 50th anniversary in 1964 and released a series of engineering upgrades throughout the 60s such as the Wedge Head 426 V8 engine. In The ‘70s Dodge Releases the Challenger – Richard Petty Wins Daytona in a ’74 Charger! The start of the 1970s brought the release of the Dodge Challenger in 1970 and the Dart Demon in 1972 which would be renamed the Dart Sport in 1973. The Dodge brand’s long history in the racing world reached a milestone when Richard Petty won the Daytona 500 while behind the wheel of a Charger in 1974. When the gas crisis hit in the early 70s, Dodge responded with the release of vehicles that were more compact in size, thus redefining the look of “family cars.” In 1976, Dodge introduced “the family car of the future” with the Aspen. The Dodge Diplomat made its debut in 1977 along with the Dodge Power Wagon Adventurer Club Cab followed by the Dodge Omni in 1978. While the 1980s were all about efficiency, Dodge did not let that hold them back from continuing their tradition of focusing on performance. In 1981, the brand introduced the Dodge Aires along with the new 318 V8 engine – the largest in their entire lineup. The Dodge 400 convertible made its debut in 1982 followed by the Dodge Shelby Charger in 1983, the Dodge Daytona in 1984, the H-Body Lancer in 1985, the Dodge Shadow in 1987, and the Dodge Lancer Shelby in 1988. The Dodge Viper Concept made its debut at the North American International Auto Show in 1989 during Dodge’s 75th anniversary celebration. 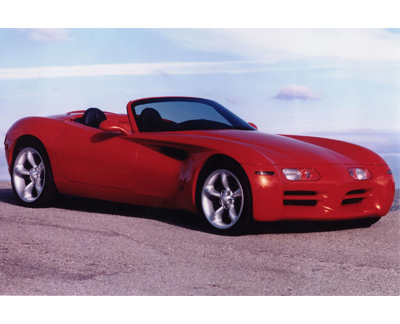 A new decade brought new car designed in the 1990s and Dodge once again embraced the ever-changing trend of automobiles. Additionally, in 1991 a pre-production version of the Dodge Viper was used as the pace car for the Indianapolis 500 with the production version being released in 1992. The following year, the brand introduced the Dodge Viper GTS concept and the all-new Venom concept. 1995 brought the Neon and the Dodge Avenger coupe and a redesigned version of the Dodge Grand Caravan was introduced in 1996. 1997 brought the introduction of the Dodge Copperhead and Silverwinger while the Durango made its first appearance in 1998. Dodge finished off the decade by denoting the all-new Power Wagon and Charger concepts in 1999. In the 2000s, Dodge Released Several New Models – 2014 – Dodge’s 100th Anniversary! The new millennium has brought a whole new list of innovations and updates for the Dodge brand that we have seen released especially beginning in 2010. That year, Dodge released the Mopar ’10 special edition Challenger and six all-new or significantly redesigned vehicles made their debut in 2011. By the time they reached their 100th anniversary in 2014 Dodge had achieved the notable status of America’s fastest growing automaker. While it has now been more than 100 years since John and Horace Dodge first set out on their mission to make vehicles in their image, their legacy continues to grow and thrive. We can only imagine what the next 100 years will bring. 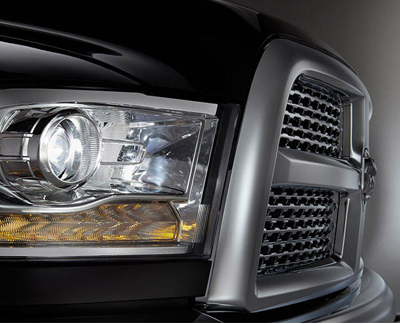 When we mention the Dodge brand, it is also important that we give a shout out to Ram trucks. The Ram Truck lineup was originally launched by Fiat and it became part of the Dodge brand of vehicles in 1981 and was named the Dodge Truck Division. As we mentioned, Dodge had been producing truck since as early as 1917 but Ram models were the first pickups. The Ram D150 Miser was introduced in the first year, providing a quality pickup with a high fuel mileage. Throughout the rest of the 80s the Ram lineup continued to evolve in style, power, and efficiency with a completely more refined lineup launching in 1987. As newer and more improved engines were being launched in the automotive world, more trucks continued being introduced as part of the Dodge Truck Division until 1994 when these vehicles were officially rebranded as Ram Trucks. With their striking combination of rugged appearance and high performance engines, these models immediately gained noticeable attention in the market. A year later in 1995, the Ram brand released the Club cab along with a variety of other unique cabs for the lineup. This also started a number of mechanics upgrades including a first-ever natural gas version. The Dodge RAM Brand would continue until 2009 when RAM Trucks officially became their own brand separate from the Dodge name. The elevated level of high-quality seen in these pickups has not faltered, however, and today the Ram truck lineup is more impressive than ever.